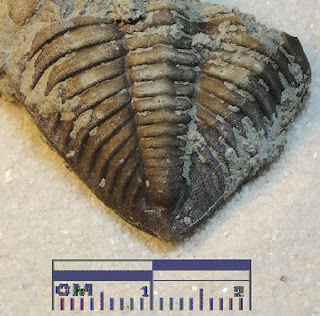 Dalmanites trilobite fossil pygidium of the Birdsong Formation found in Benton County, Tennessee. This trilobite existed in the Lower Devonian Period. Thanks to Herb for the image.